WASHINGTON, D.C. (January 19, 2019) – FDA Commissioner Scott Gottlieb has announced that sales of e-cigarettes and other vaping products could be banned, but suggested that it might take his agency another year to even decide whether to begin the long legal process of doing so. He claimed that he was horrified by the rapid rise in the teen use of such products which are designed to permit users to ingest the drug nicotine, and to become addicted to it, often a precursor to switching to tobacco cigarettes. But such an effort is too little and probably too late, says public interest law professor John Banzhaf. More than ten years ago, Banzhaf filed a formal legal request asking the FDA to assert jurisdiction over the products which, even then, were known to be both deadly and addictive to users, and already increasingly popular with children. Indeed, he called them "candy cigarettes on steroids," noting that both products were alluring to young people. But, while candy cigarettes were clearly just pretend, since they contained no nicotine and were unrealistic looking except perhaps to young children, e-cigarettes allow youngsters to obtain the same nicotine drug kick as real cigarettes. Many are also more realistic, and allow kids to pretend to smoke by omitting visible nicotine-infested vapor which resembles that from tobacco cigarettes. 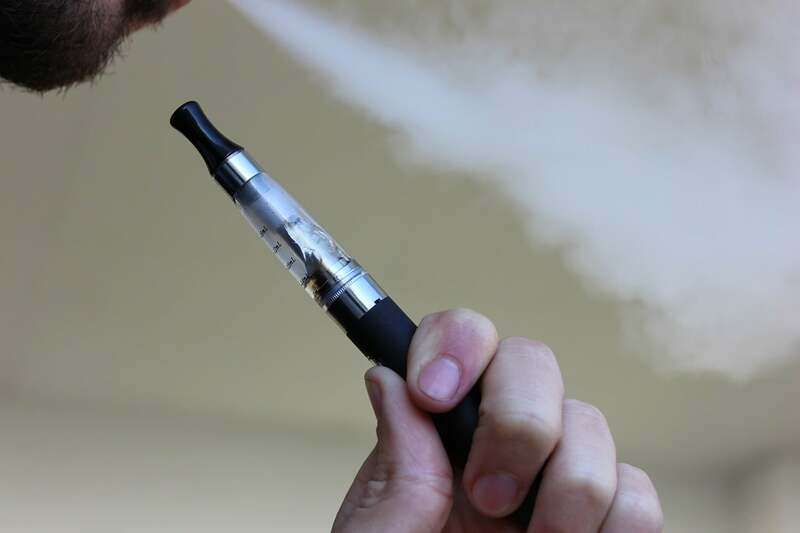 Even without the FDA's help, Professor Banzhaf was able to use legal action, and the threat of legal action, to require major credit card and other companies to cease assisting in the sale of e-cigarettes. He also helped persuade several legislative bodies to prohibit their sale to children, and also their use in public places where the smoking of tobacco products was prohibited. Interestingly, since he started the movement which led to the ban on the use of tobacco products on U.S. airlines, he also helped keep e-cigarettes from being used during flights. "It was clear, more than ten years ago, that e-cigarettes were becoming popular with young people who were becoming addicted and often then also graduating to tobacco cigarettes,' says Banzhaf. which is why denounced them as "candy cigarettes on steroids." At that time, however, the number of users and of outlets was very limited, so it would have been easy to nip this new movement in the bud before it built up enough momentum and support to resist. But now, with the product widely known and popular, and with major tobacco companies also becoming involved, it may well be too late to put this deadly and addictive genie back in the bottle, he says. Thus, rather than having learned our lesson from cigarettes - that once an addictive product becomes widely used, it may be impossible to ban or even significantly regulate it- we have permitted a very similar and similarly addictive product, with major known health hazards, to become so well established that we as a country may be forced to live with it, and with the addiction and ultimate deaths of millions of kids. warns Banzhaf. Professor Banzhaf has been called the "Man Behind the Ban on Cigarette Commercials" as well as the "a Driving Force Behind the Lawsuits That Have Cost Tobacco Companies Billions of Dollars."